If you, like me, prefer your rock ’n’ roll at night in cool, dark places free of the broiling sun, drenching rain, and oppressive obnoxiousness of the festival scene, you’ll be glad to hear that Sound Opinions has once again partnered with the venerable Music Box Theatre on Southport to present the fourth annual Summer Music Film Festival, starting Friday with Jonathan Demme’s timeless Talking Heads concert film Stop Making Sense (with Greg Kot and me kicking things off) and running through Tuesday, Aug. 19. Among my personal picks this summer: Prince’s enduringly campy Purple Rain; Richard Lester’s groundbreaking and still hugely influential A Hard Day’s Night; the new documentary about the legendary Nigerian musician Fela Kuti, Finding Fela, and The 78 Project Movie, a film with Chicago roots about the all-consuming search for rare old 78 rpm discs. The full schedule follows below, and a portion of the proceeds from all screenings benefit WBEZ/Chicago Public Radio. 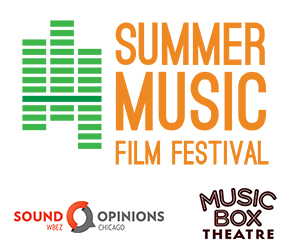 A five-admission pass is $45, individual tickets are $9 to $12, and more info can be found at summermusicfilmfestival.com. A Hard Day’s Night, 3 p.m.
Finding Fela, Chicago premier, 2:30 p.m.
A Hard Day’s Night, 9:45 p.m.
God Help the Girl, musical feature directed by Belle and Sebastian’s Stuart Murdoch, 7:30 p.m.
Stop Making Sense, 7 p.m.